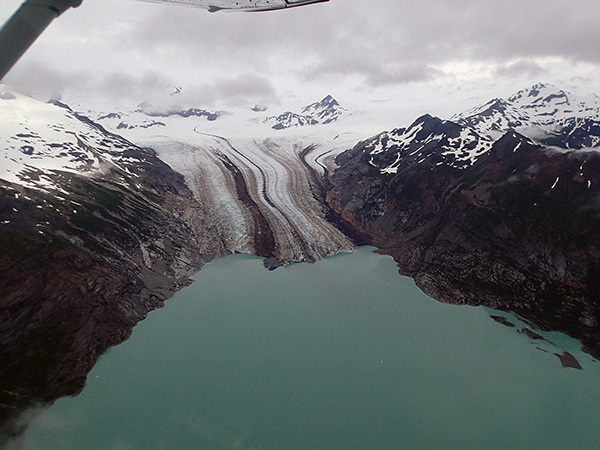 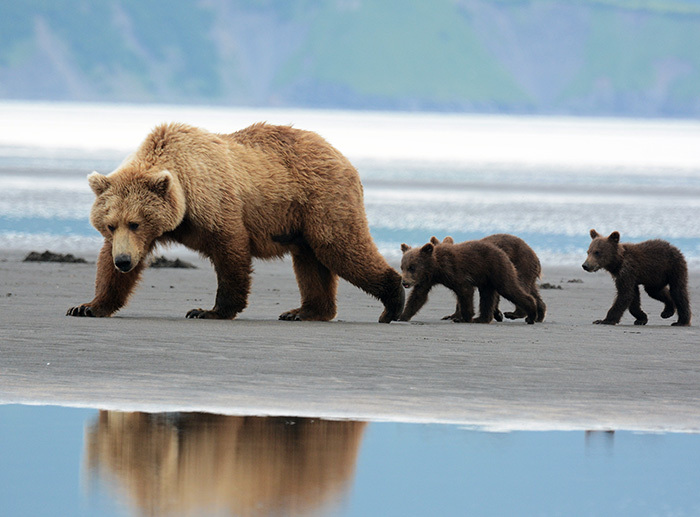 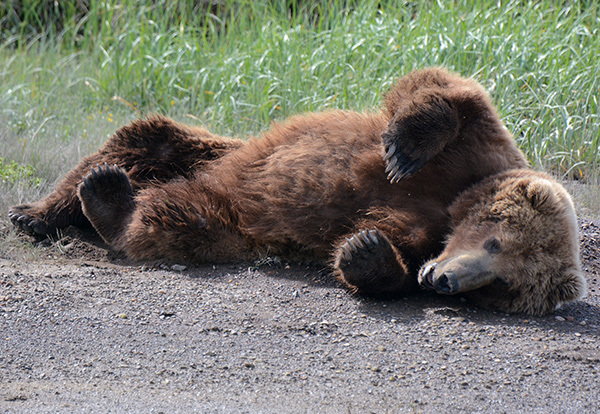 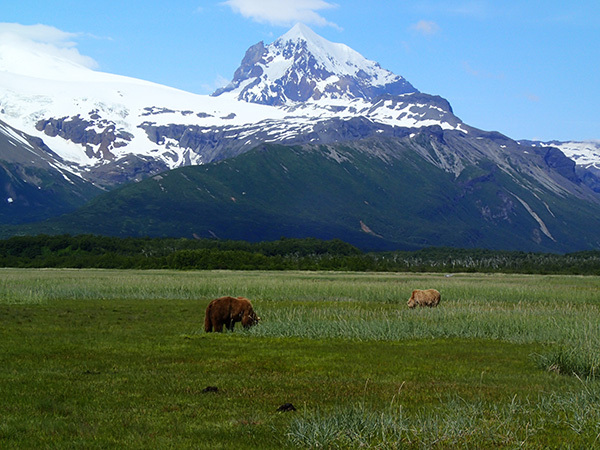 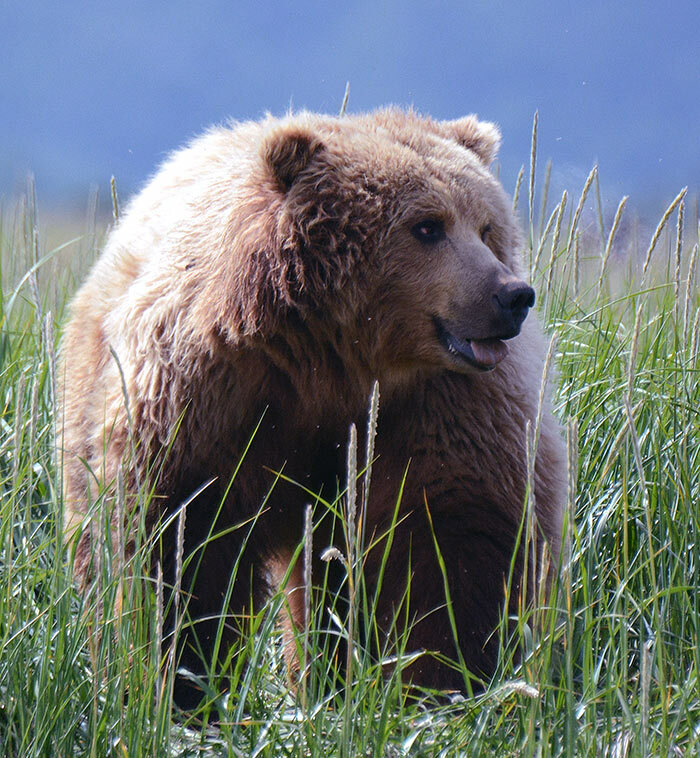 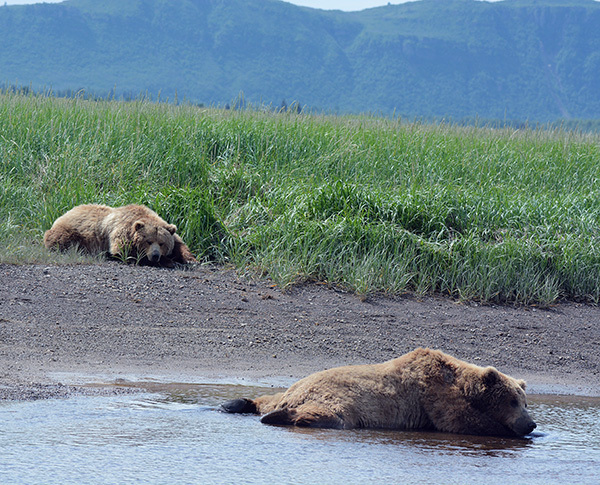 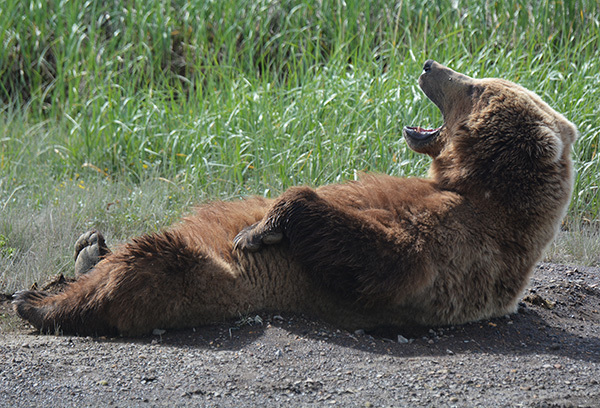 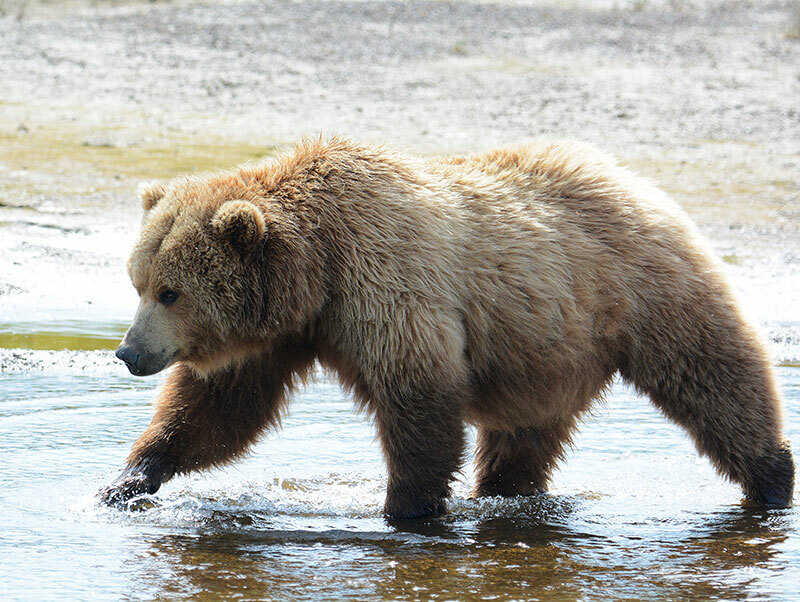 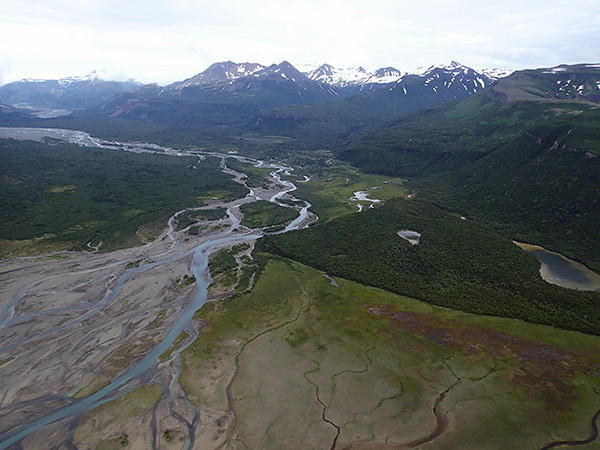 Day-trips to Katmai National Park (NP) from Homer and Kenai are all about brown bears. 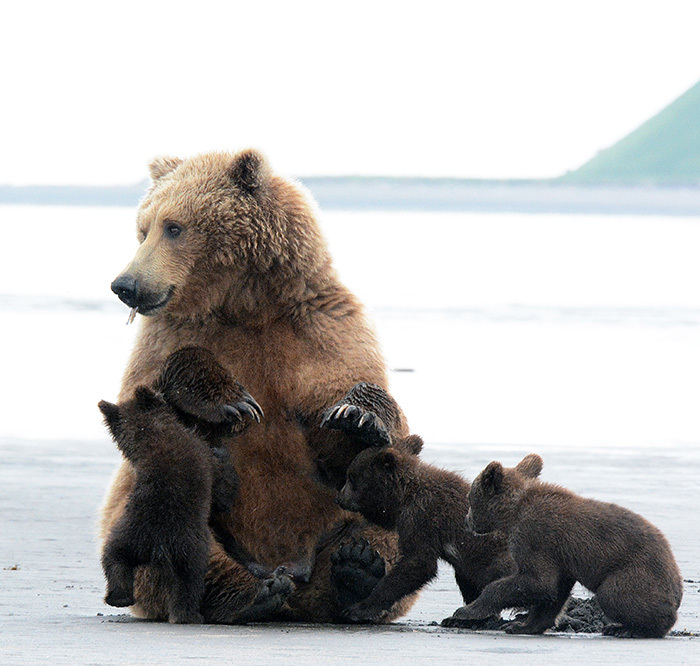 This page therefore mainly contains photos of bears. 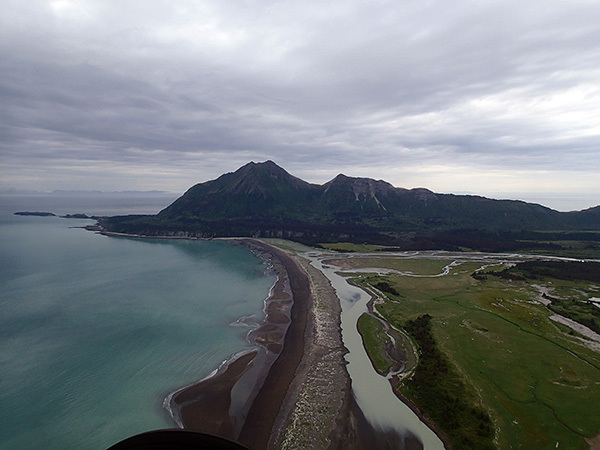 I visited Hallo Bay on a 7-hours long trip from Homer. 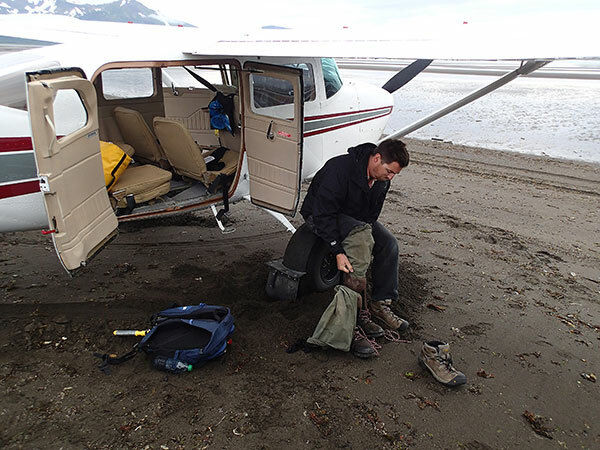 The pilot landed on the shore, and we walked around the meadows looking for bears for 3 hours. 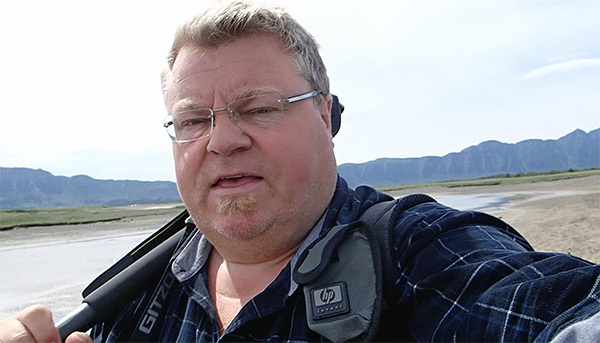 Luckily it was not raining, as it was quite wet the day before. 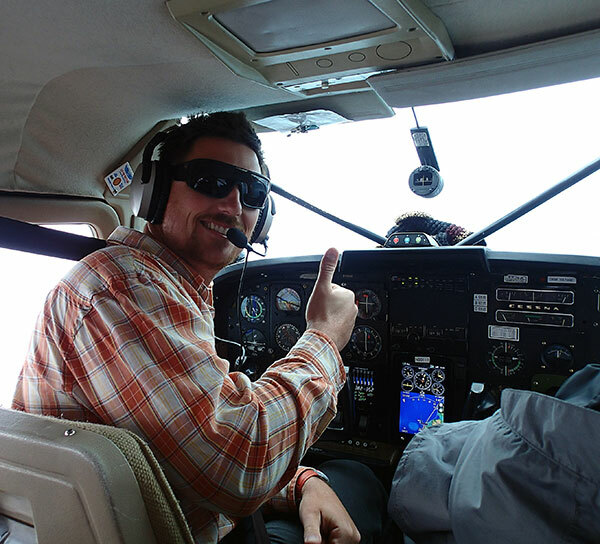 The very small Cessna plane took only 5 passengers. 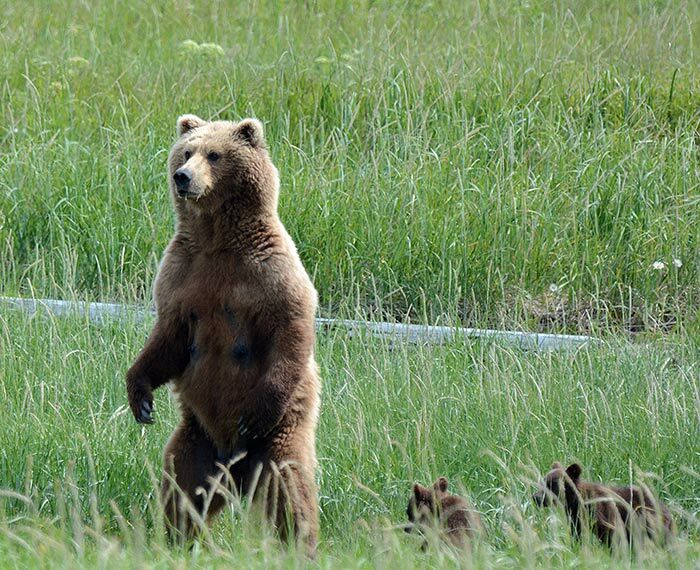 We saw lots of bears there, making the trip a success. 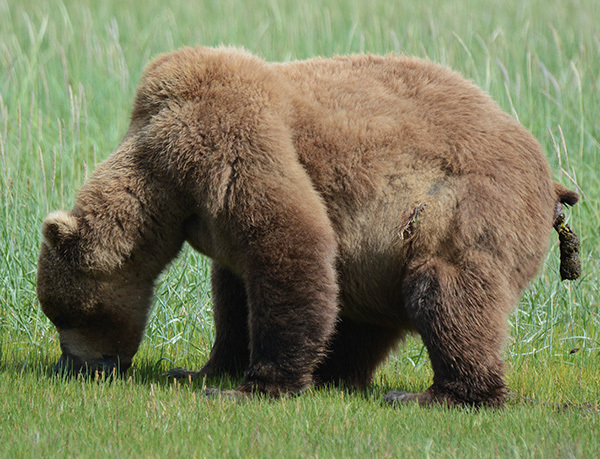 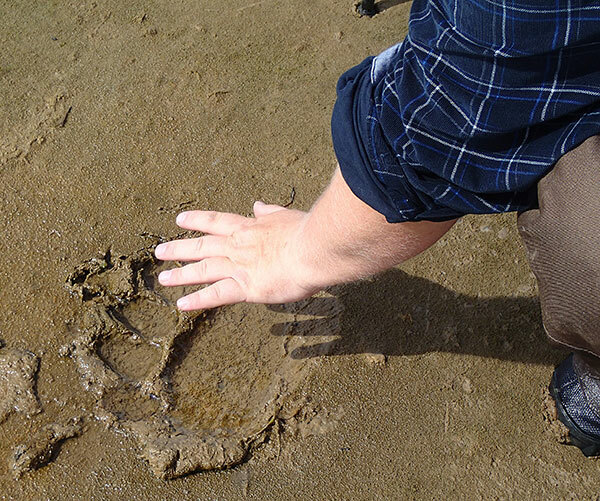 As the salmon run had not yet started, the bears were eating grass in the meadows or looking for clams on the beach. 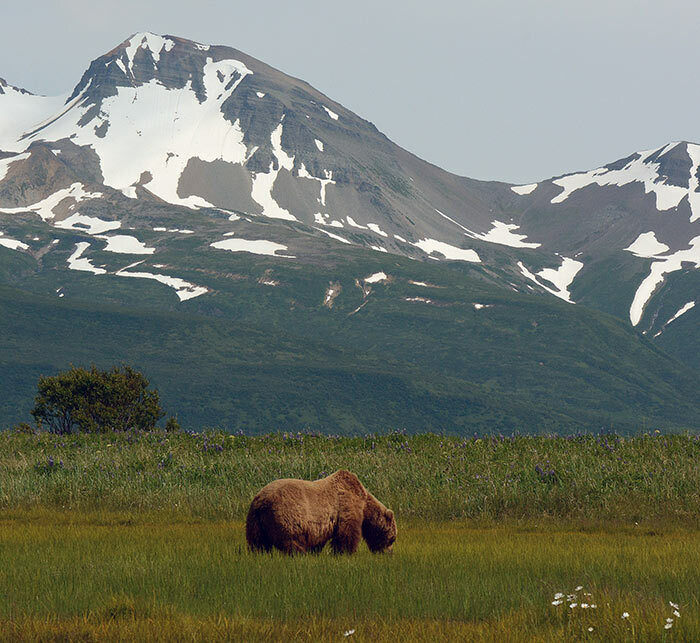 Hallo Bay resembles what Timothy Treadwell (the Grizzly Man) called "The Grizzly Sanctuary", where he spent most of his summers in Katmai NP, and lies about 25 km north of Kaflia Bay ("The Grizzly Maze"), where he and his girlfriend were killed and eaten by a 450 kg (1000 lbs) boar bear in October 2003. 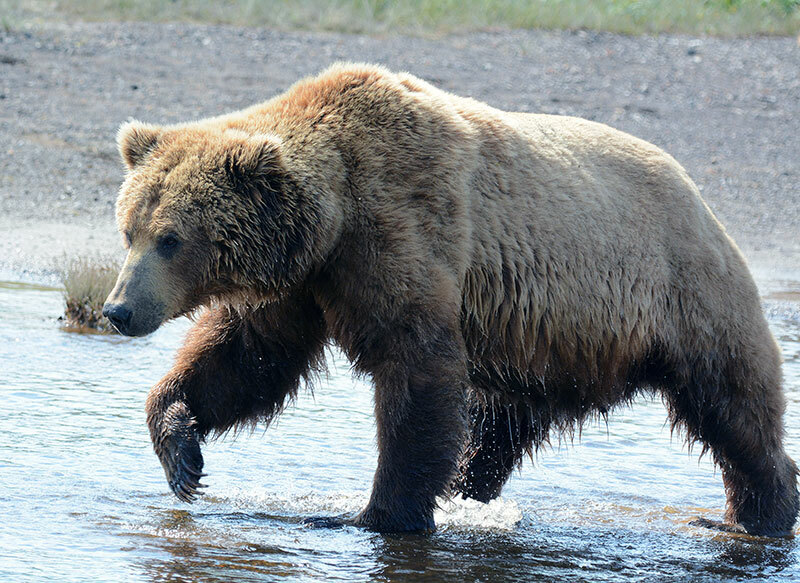 Because their diet partly consists of nutritious salmon, the coastal brown bears in Katmai NP are much larger than the bears in Denali NP. 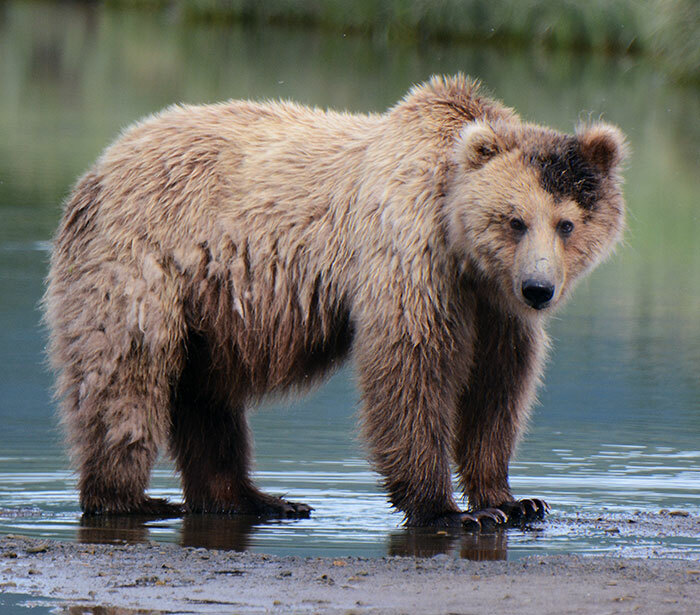 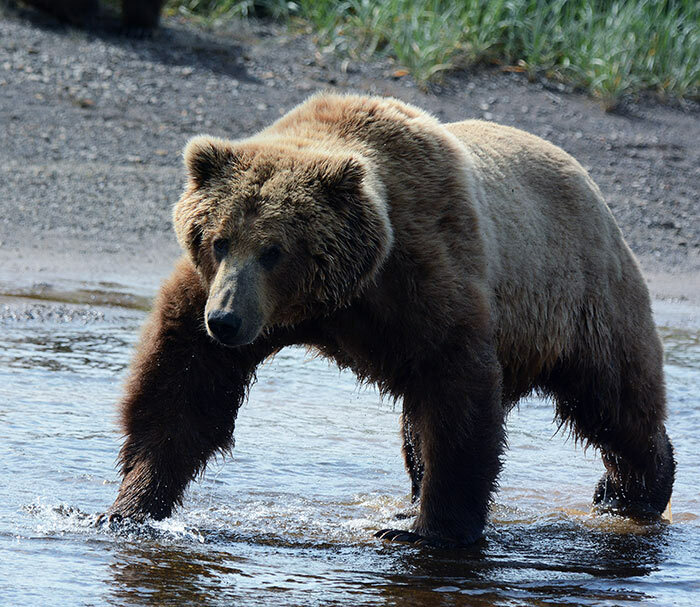 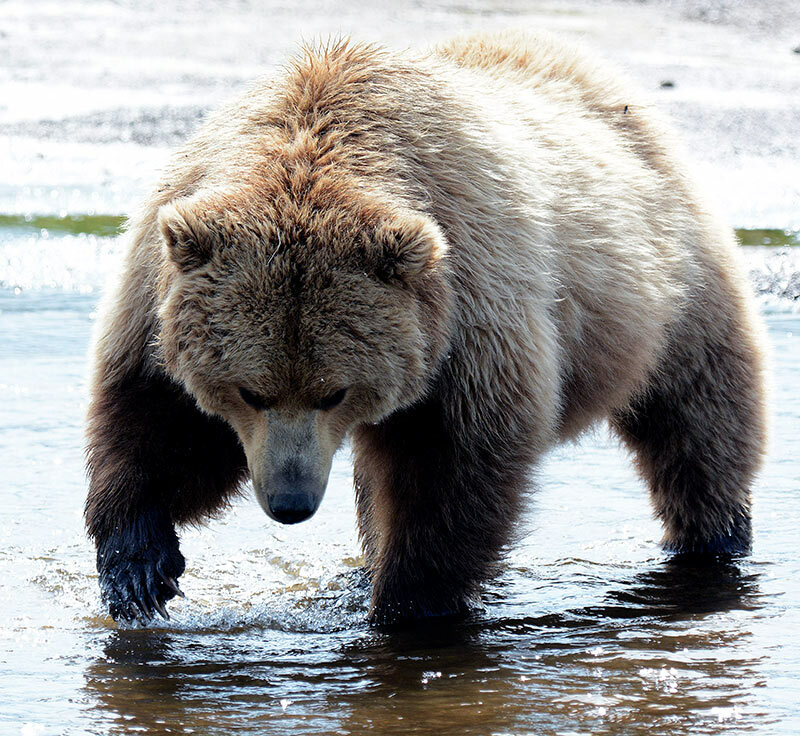 Male bears in Katmai NP typically grow to 450 kg, or almost twice the size of typical inland bears in Alaska and the lower states or brown bears found in Northern Europe. 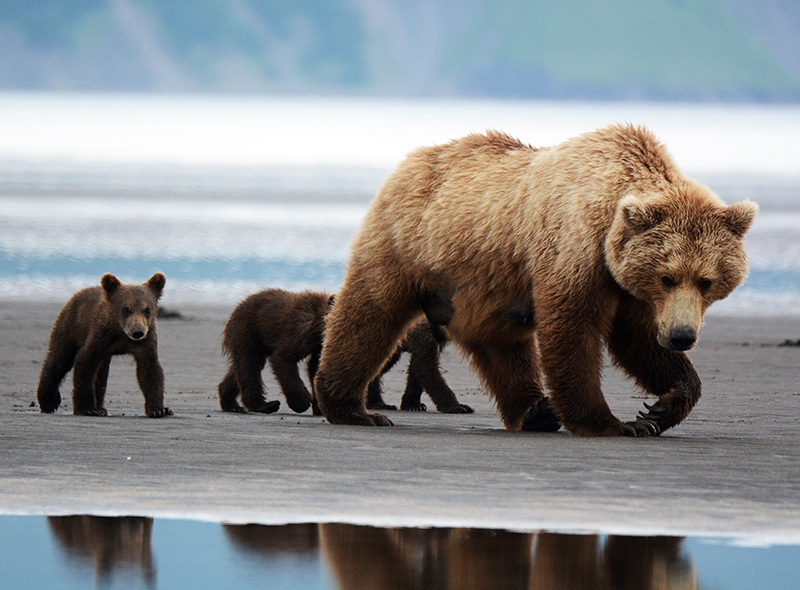 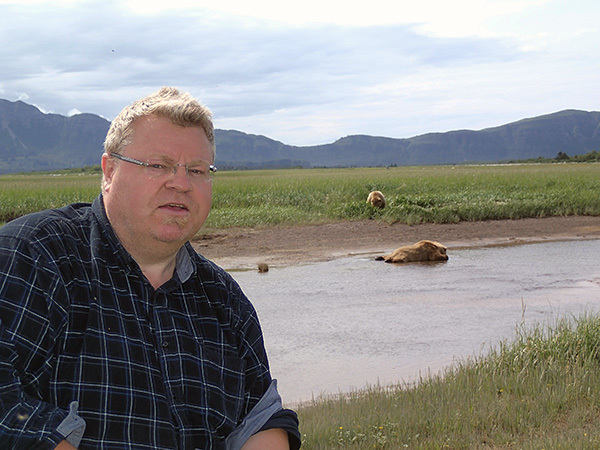 Even so, they dwarf the bears of Kodiak Island, just south of Katmai NP. 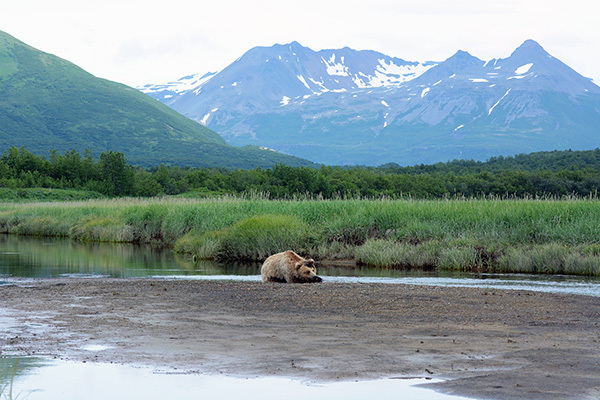 Kodiak Island boars can weigh as much as 680 kg (1500 lbs), and are only slightly smaller than the polar bear. 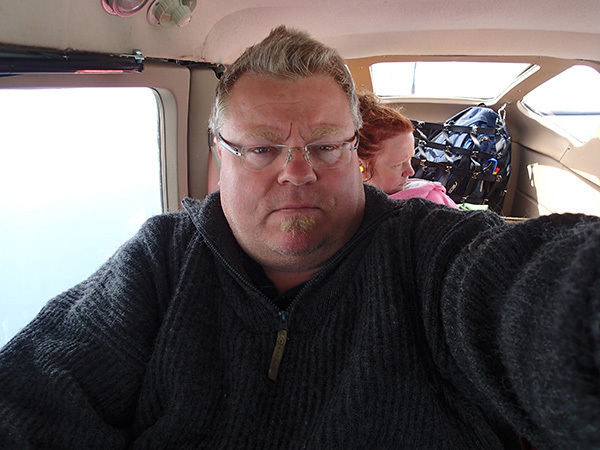 The Cessna plane was really tiny. 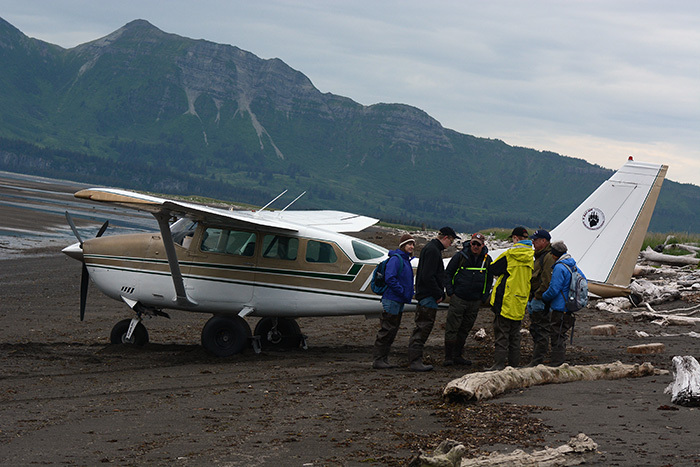 The touch-down on the beach in Hallo Bay was impressive!